ANL will resume direct calls into Townsville from April 2017 providing a new level of domestic and global connections, the company said in its press release. The first Townsville sailing will be the ANL Kokoda Trader v.517S. APX and APR vessels carry dry and reefer containers plus breakbulk and project cargoes. Seamless transhipment solutions to New Zealand, South East Asia, China, Hong Kong, Indian Subcontinent, Middle East, Europe and United States. Connections to ANL’s cabotage network accessing all Australian states, including Tasmania. APX offers unrivalled connectivity from PNG and Townsville to regional and global destinations. The Port of Townsville Ltd. advises that the new depth in the Platypus Channel from today (3 September) is 11.4 metres. 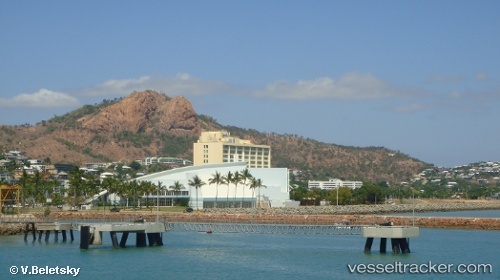 Townsville Regional Harbour Master has advised the Navigational Depths for Townsville Port have changed with immediate effect. The Sea Channel depth is now 11.50m and the Platypus Channel depth is now 10.50m. Any vessels with a draft over 9.20m will result in tidal window calculations.